How Much Does it Cost to Replace Windows in 2019? You won’t be surprised to find out that the more replacement windows there are, the more the replacement windows cost. This means if you’ve got a bigger house with more windows, you’re looking at a bigger bill. For example, terrace houses usually have anything from 6-14 windows. Semi-detached range from 10-20 windows. Detached houses can start small around 10 and go upwards of 30. As you can see, the costs will vary greatly. And then the actual size of the windows themselves will influence how much the cost per window is. The bigger the window, the higher the cost. If you’re upgrading your window size, you also need to incorporate any building cost for expanding the existing window spaces. Once you’ve figured out how many windows you’ve got and how big they’re going to be, you need to decide on the style of them. You’ll also need to decide on how many openers you want and if they need to have locks. This all changes the price. Colour choice is important. If you’re happy with standard white UPVC, your costs are going to be lower. Woodgrain is more expensive but if you want the natural look this is the only way to go. In between plain old UPVC and woodgrain there are a number of colour choices and wood colours. Some of these will be more expensive than others. To make sure you’re getting an accurate estimate, use an online calculator to fill in all your needs. Most new windows are extremely energy efficient, with excellent insulation levels. But there are some better than others. Energy efficient ratings for windows range from A to A+++. The more pluses, the more expensive the windows are. But while they are more expensive upfront, in the long-run you can save yourself quite a bit through energy efficient gains. This means lower heating costs. And if the average lifespan of a window is around 25 years, that’s a lot of saving. You can use a calculator to figure out how much extra different energy efficient rated windows are. Buying your windows and fitting them are two separate things. You’ll need to include labour for actually fitting the windows in your calculations. Sometimes your supplier will also fit windows, for an extra cost. But more often than not you’ll need to find a builder or other specialist window contractor to fit the windows once you’ve got them. To get a good figure, try and get 3-5 estimates or quotes. This will give you a good idea of the market rate and help you make an overall cost calculation. Now you’ve finally had your windows replaced, are you going to keep your old ones? Probably not. Make sure your fitters or builder are taking the windows away, otherwise you could be left with more to pay for them to be disposed of. As mentioned above, it’s important to compare quotes from at least 3 installers. And make sure the quotes are based on the same number, style, and finish of window you want. Try to stick with reputable companies. Ask friends and family for recommendations. If you don’t feel confident or comfortable then have someone else present during quotations. And never feel pressured to make a decision right away. If you’re getting a quote directly from a window fitter, the quote should include all costs for your replacement windows. This includes the actual windows, fittings, labour, and extras needed such as skips or warranties. Replacement windows can be a great addition to a house but with lots of overheads to think about getting a general calculation before starting is a good idea. 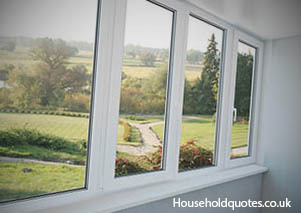 Get Your FREE Replacement Window Quotes Now!